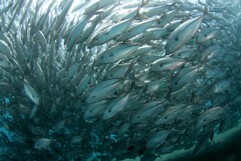 This school of Jackfish is only in about 5 metres of depths. 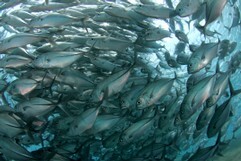 The shot was taken in Tulamben, Bali, Indonesia close to the well known wreck of the Liberty. The school did blot out the sun. 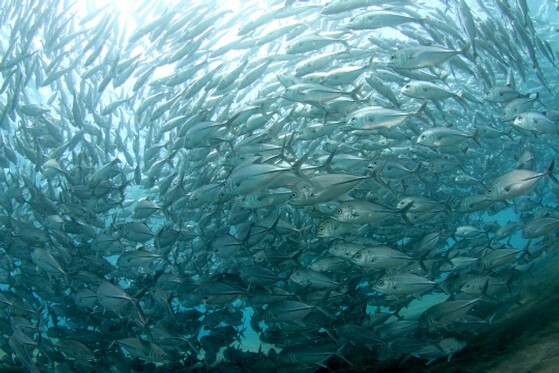 Moving calm and without rapid movement I was able to swim inside the school and was completely surrounded by fish - will never forget this moment.